The Booth Centre offers people the opportunity to try new things. We recognise the importance of offering engaging, fun and meaningful activities for people to help them learn, build their skills and confidence, and make new friends. As part of helping people to move off the streets and breaking the cycle of homelessness, it is essential that we offer a varied timetable of free activities for people to get involved in. The centre's Arts programme helps people develop new skills in areas such as painting, crafts, singing, drama, creative writing, sewing and photography. We work closely with local and national specialists to offer people good quality, fun and challenging workshops. We help get people involved in drama by running workshops and productions, as well as by arranging trips to the theatre and backstage tours. The drama work has a transforming effect on the people who take part. People grow in confidence, develop new skills, listen and work together as a group, and learn to trust in each other. When they perform in public their self esteem can increase fantastically. 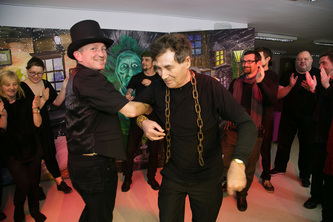 Many members of the group move on to employment, to take up education and training courses, or have entered detox, as a direct result of the boost they get from the drama workshops. An award from the Arts Council has allowed us to launch The Booth Centre Theatre Company in partnership with The Edge Theatre & Arts Centre. We offer regular drama and singing sessions, engaging rough sleepers and those at risk of being homeless in making high quality theatre and in all aspects of running a theatre company. 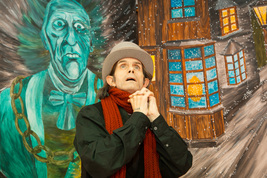 We produce two shows a year which are performed both at The Edge and at the Booth Centre. The shows create opportunities for friends, family, other homeless people and staff to see what the people taking part have achieved. They also raise the profile of homelessness and the arts, including members of the general public who have their perceptions of homeless people challenged through seeing a high quality performance produced by the company. We work in partnership with Streetwise Opera and Opera North to run singing and acting workshops at the Centre. Streetwise Opera is an award winning charity that uses music to help people who have experienced homelessness make positive changes in their lives, through both weekly workshops and regular performances. The group is all about having fun, making new friends, and building skills and confidence in a friendly, relaxed and creative atmosphere. There are no auditions and no musical experience is required – everyone is welcome. 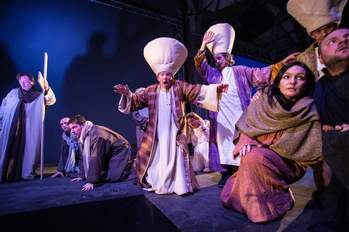 The Streetwise Opera group has been involved in many Streetwise Opera productions, including Fables, The Answer to Everything and The Passion. They perform regularly at venues such as Manchester Town Hall, Manchester Cathedral and the Whitworth Gallery. Group members also have the opportunity to see Opera North performances and to take part in work placements. The Booth Centre holds regular photography workshops, which helps the people who take part to find new means of expression, and gain new skills and confidence. A collection of photographs which have been taken during these sessions is on display at the My Manchester exhibition. Creative writing sessions provide a great way for homeless people to be able to express their creativity and tell their stories in a safe and sociable environment. We are proud to have been part of The Homeless Library project in partnership with Arthur + Martha CIC. Visitors to the Booth Centre with experience of homelessness were able to create some amazing pieces of work about their own lives and see the work displayed in various exhibitions locally and in London. ​Find out more and read about the experiences of participants on The Homeless Library Blog.